Many of you have seen these (or won a copy) on my Facebook page, but I have received a number of requests for information about the home note that was on yesterday’s post. 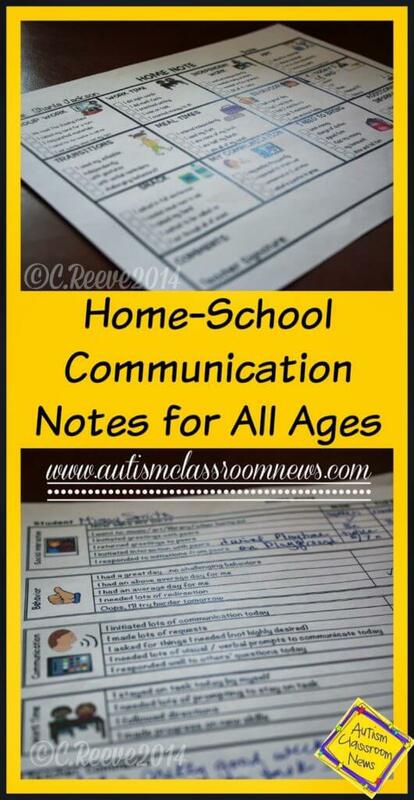 I’ve talked about why home-school communication is so important for our students and some Dos and Don’ts in doing it. This is an area I have been working in for many years trying to find the balance between providing specific and meaningful information to families while still assuring that the teacher can 1) teach the class and 2) stay sane. 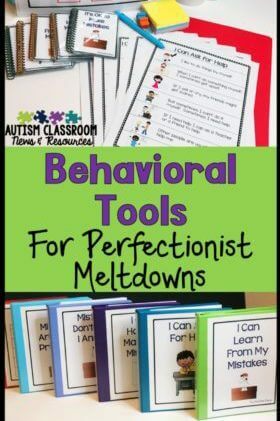 There are SOO many things to do in a classroom, especially one that serves students with special needs, that adding this component of communicating with families is often the straw that broke the camel’s back. So, I want to share a tool that I hope will make it easier, quicker and more effective to help build relationships with families while also helping teachers stay sane. I have spent a good part of my career providing consultation to classrooms. Someday I’ll write a post about what that really means (besides flying in on an airplane), but one of the things I do a lot of is working with families and schools who are having a difficult time trusting each other in the relationship. This can be from a variety of reasons, many of which may have nothing to do with anything that the school (or the family) has done. It could be previous histories with other schools or the presumption that the school is not going to do what parents believe to be right for the student, or whatever reason. Part of my job is often to repair that relationship or help the team to repair it (I don’t have a magic wand). What I really love is when I have the opportunity to work with schools to set up systems to prevent relationships from going sour or to help them build strong relationships with families from the beginning. Part of building a good relationship between school and family is communication. Clearly this is an issue that goes beyond just a good home note, but being able to provide consistent and meaningful information to families about what their student did at school is critical to it. 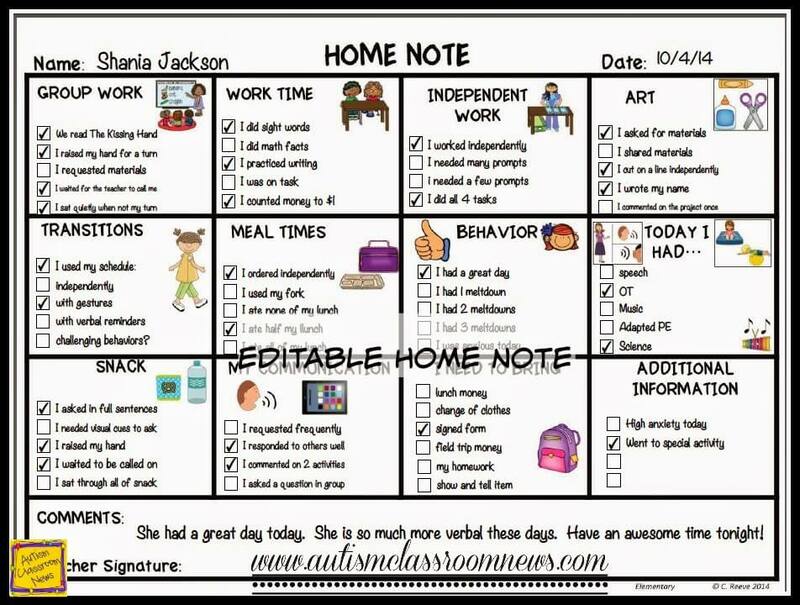 In my work with schools and in working a behavior specialist and administrator in schools, this set of home notes is similar to ones we have developed an used in a variety of environments. I like them because they are specific in the feedback they provide but by providing check-offs with the opportunity for a few more notes, they can be customized and meaningful for the family. 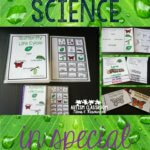 I also like them because they are a communication and documentation tool for the classroom. So, let me share what is included and ways that you can customize them to meet your needs. This one is probably the mainstay of the communication system and the one that is used most frequently. 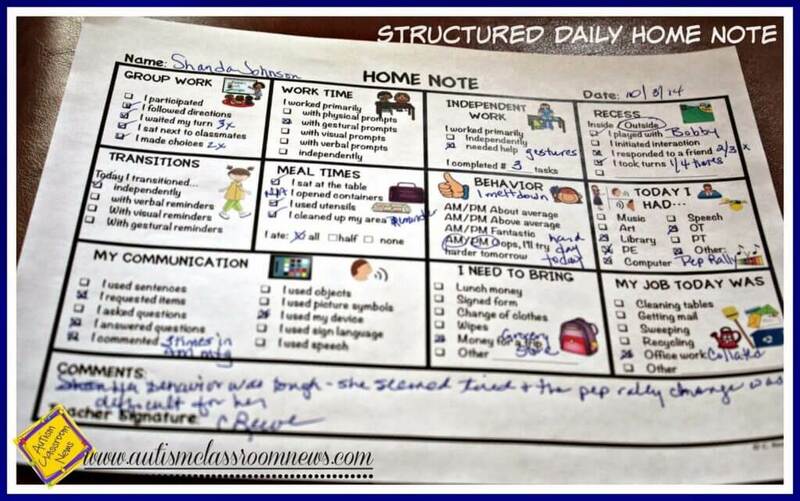 In each age-level set (preschool, elementary, secondary), there are numerous versions of this type of note with different combinations of categories and check-off areas. There is always a place for a comment by the teacher and the teacher’s signature and date. I have had programs who took these types of home notes and had the printer put them on 2-sheet carbonless copy paper so that when the teacher fills it out it leaves the original to be sent home and the copy to stay in the classroom files without having to make a trip to the copy machine. 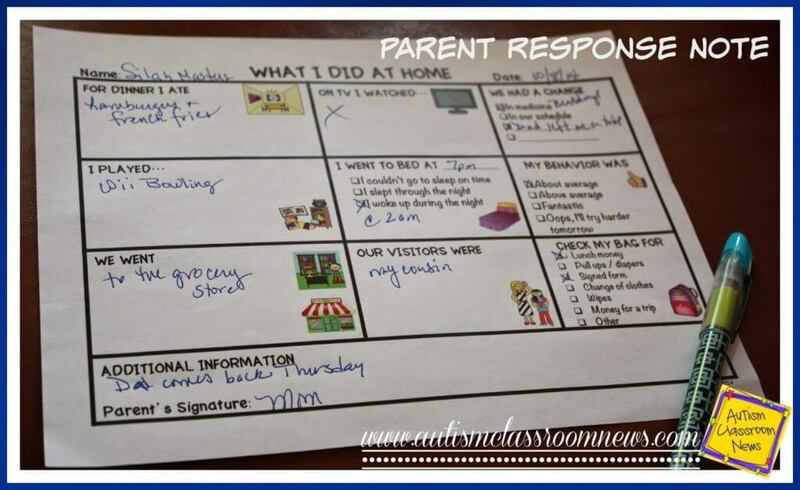 Generally the notes tell parents how the student performed in different activities, what specials or therapies they had that day, how their behavior was at different time periods of the day (e.g., morning, afternoon), and things that the student needs to bring back to school the next day. One of the areas that is also helpful in a home-school communication system is to have a way for families to share information back. Most parents that I know lead busy lives just like teachers and don’t always have time to write a notebook entry about what happened the night before. This note, which we sometimes photocopy on the back of the note that comes from school, is designed to allow parents to jot notes down about specific things the child did at home. All of the notes from school and from parents have pictures for each of the categories that can be used to help the student communicate what he/she did that day or weekend in each setting. 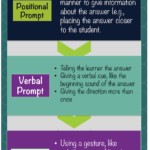 This also allows the teacher or the parent to cue the student when the student is struggling with that communication. 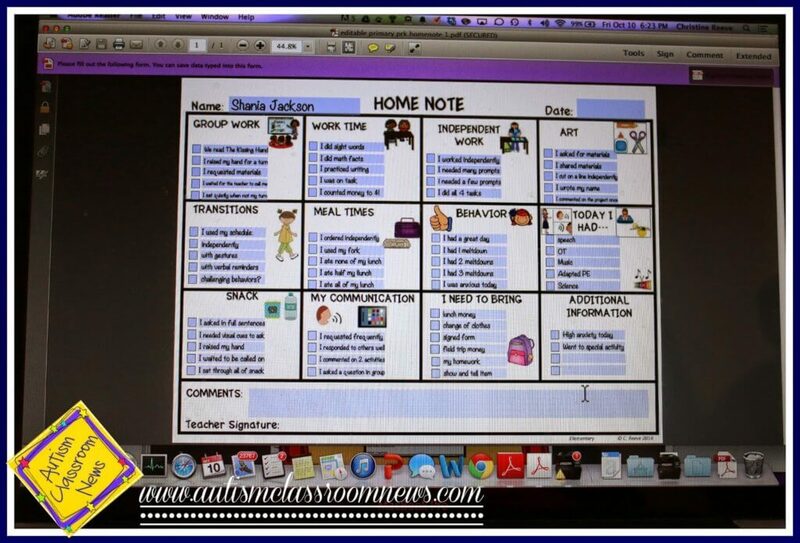 The pictures on the notes correspond to my classroom schedule and visual bundles in my store as well so if you are using them, they will be consistent. Some parents don’t want or need a home note coming home everyday. 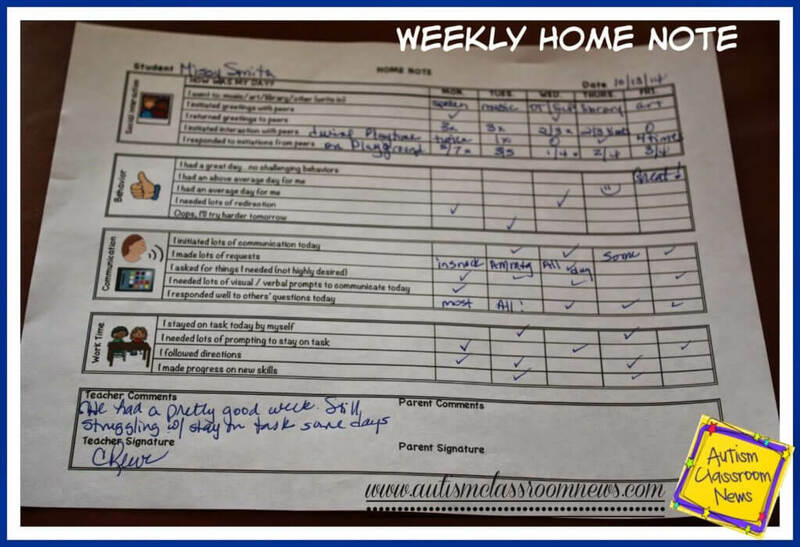 For those parents, I have created a weekly home note. In this example, the “How Did I Do?” elements give specific information about the area. 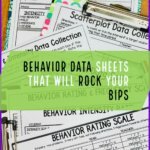 For instance, for behavior, it might list “I had a great day, no challenging behaviors,” “I had an above average day for me,” “I had an average day for me,” I needed lots of redirection” and “Oops I will try to have a better day tomorrow.” Then the teacher can check off which one applies on which day of the week and can add notes if needed. In all of the notes you can add more specific information in. In the daily note above you will see places where I wrote in “2 times” for initiated communication, or I waited my turn 3 times on the playground. However, if you need to individualize them even more, I have made each of the versions in a format where the options for each activity can be edited in Adobe Reader. So, for each of the areas you can choose what your options to check-off would be. You could use a rubric like 4=did great today, 3=Ok in this today, 2=I needed some help with this, and 1=I resisted this today” or something like that. Below you see the computerized form with the editable fields highlighted. I made the check boxes editable and the comment areas as well in case you want to complete it on the computer, save it on your computer, and email it to the family. You can also make your own version, save it, and return to it to complete it on the computer. My goal is to make your life easier! And this is the finalized copy of an edited note I created and saved and emailed (to myself–this isn’t a real student). 🙂 It gives you some ideas of what you could put in the check boxes in place of the ones I created and allows you to individualize it to your class or even to each student. It also allows you to change it, so if you want to include things, like what book the class is reading, you can do that and change it next week. And here is a video that shows the secondary home notes and shows how to edit them. It’s a bit long but the preview of the notes are in the first part. Elementary–does not include nap but has one or 2 with play and other academic or generic work time activities. Secondary–this one has some that overlap with elementary but has others that focus more on vocational and community instruction activities. Please let me know if you have any questions. 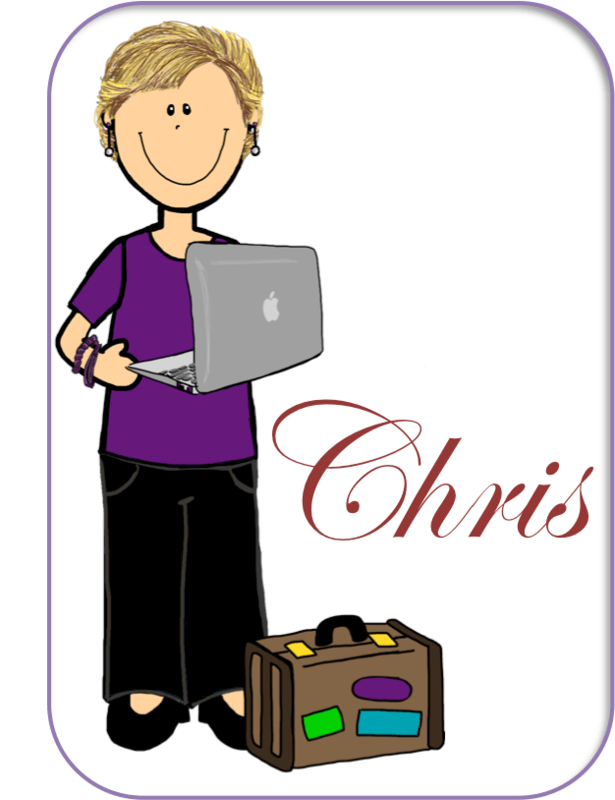 What do you use for home-school communication? My next post will focus on different ways we can communicate in addition to notes and some of the pros and cons of each. However, at the moment, I have created my own fall break this year, so I am off looking at some beautiful fall foliage and I may not post over the weekend….if I can stay away. Very helpful for my new class.